Drop everything. Do nothing else this afternoon. 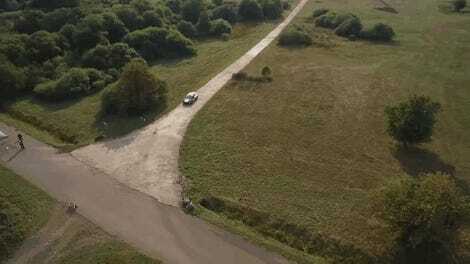 Let’s watch rally cars launch into space. If watching rally cars skip and dance at insane speeds down dirt roads doesn’t make you want to fly in the air or book a trip straight to the magical land of Kimi and Santa Claus, I’m not sure we can be friends anymore. Rally Finland is one of the most beloved weekends on the World Rally Championship schedule, and it’s not hard to understand why. It’s a tough rally through the scenic Finnish countryside, where the entire nation is nuts for rally. It has epic high jumps like nowhere else on the schedule. It’s also one of the fastest rallies in the world, which means that there’s even less margin for error if you get it wrong. Winners typically have an average speed over 77 mph, per the extreme sports superfans/deep pockets at Red Bull. Mistakes happen fast, and well, that’s rally. Don’t screw up. The fans really add to the rally footage, as hearing them ooh, aah and chuckle at particularly impressive bits is a whole lot of fun. Chuckle with them. Did you have anything planned this afternoon? Nah, this is better. 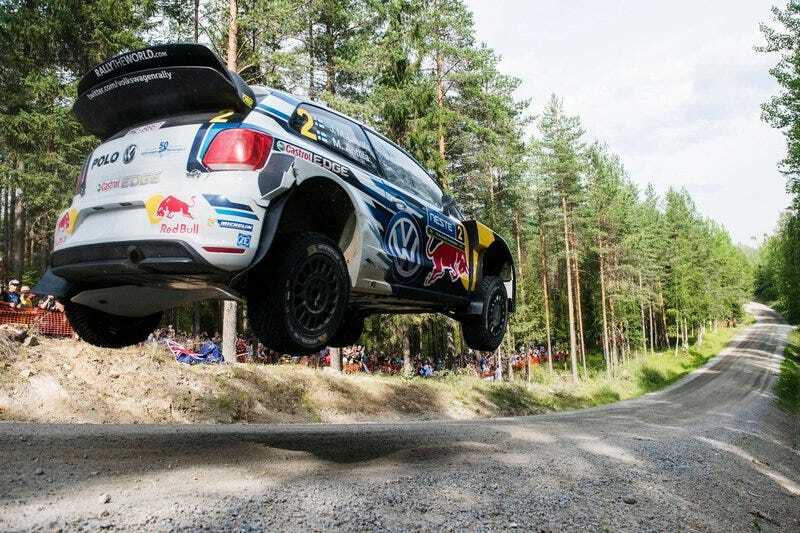 This year’s Rally Finland was the fastest ever to-date, according to the organizers’ wrap-up. Some unlikely faces ran into bad luck on the stages, including championship leader Sébastien Ogier and up-and-coming Estonian madman Ott Tänak. Kris Meeke had a dominant drive to land first place, with hometown Finnish favorite Jari-Matti Latvala coming in second. For the second year in a row, the record average speed for the rally was broken. Last year, Latvala won with a blistering 77.945 mph average speed, and this year, Meeke crushed that record with an average speed of 78.672 mph. With even faster cars in the works for 2017, I fully expect to see some cars go to plaid on these stages next year. That’s why we love Rally Finland so much.